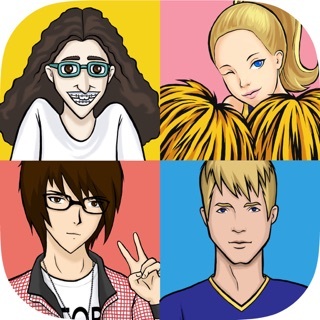 My Virtual Boyfriend is the #1 boyfriend dating game in the world! Thanks to YOU, and the other fans out there. We truly appreciate your support! Are you single? Do you like cute boys? Are you the BIGGEST flirt? Do you wish you could date anyone you choose? If you answered YES to any of these questions, then i have the perfect dating game for YOU! 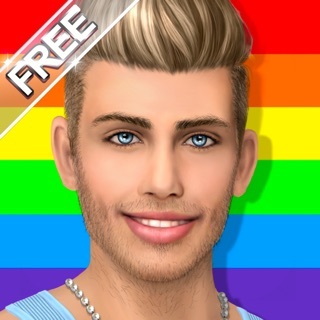 My Virtual Boyfriend - One true love is one of the top girl games for mobile. 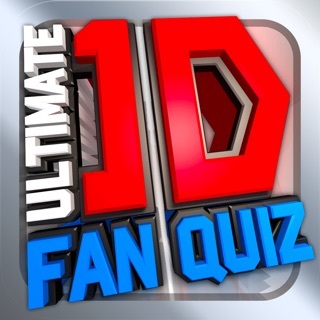 It’s quite popular, and features hundreds of boys to choose from! 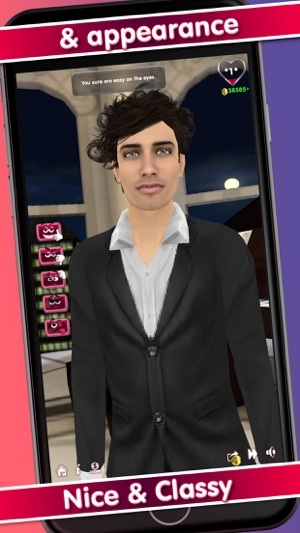 My Virtual Boyfriend is fun and flirty dating simulation game where you get to choose from a lineup of hot, single, virtual guys to date and start a relationship with. 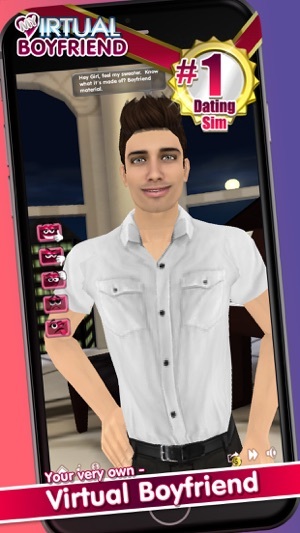 Your mission (if you choose to accept it) is to get him with your womanly charm, flirt your way into his virtual heart and get him to fall deeply in love with you, as he makes you his BAE (Before Anyone Else). 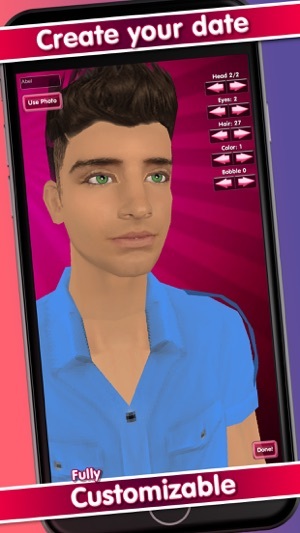 With so many hot, single guys to choose from, you can play this dating sim forever and not get bored. If you don’t like a guy, dump him and get a new one! 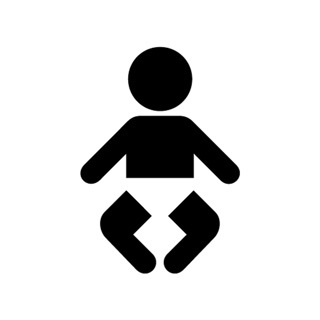 Each boy has a unique personality and appearance. Types range from: The Bad boy ALPHA Male to the the awkward yet incredibly cute GEEK guy. 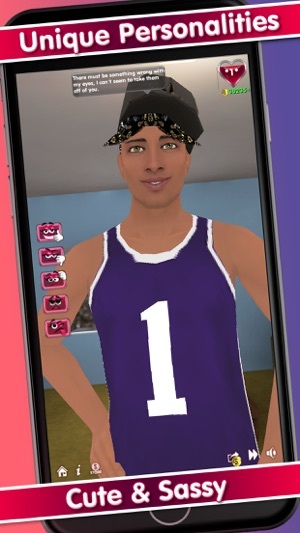 So umm.. What can i do with this Virtual boyfriend? Well, I’m glad you asked! 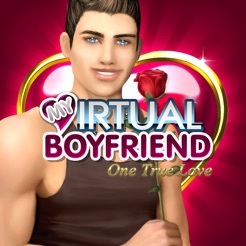 First, you must understand it’s a dating game, and not a replacement for a real boyfriend, and that your goal is to get this virtual boy to fall in love with you. You’ll need to get acquainted, so you’ll start by listening to his flirty pickup lines and his cute jokes. You will react to his flirts and comments through various emotes. This lets him know what you’re thinking. There are actions you can do like giving him a compliment, telling a joke, or giving him a kiss to watch his reaction. You can go on activities like mini golf, a dinner date or a walk in the park, or just Netflix and chill the night away, it’s up to you. You can dress up you date in hot outfits, new clothes and crazy costumes. He even responds to your touch - but watch where you poke around, he can be quite ticklish! Every choice you make has rewards or consequences. A heart meter fills up to show when you're doing good and drops down when you start making mistakes. If you want to make good progress in your relationship - then do things that make him feel good and will align to his unique personality. As your relationship grows, he will become more attached to you. With each new level achieved, he becomes more intimate, loving, caring and will grow closer to you. New actions, activities and outfits become available the further you progress. There are 35+ levels in the game and at the end level- that's when he will confess his love for you and you will have won the game, but it doesn't have to stop there - At the ending level you will be given an option to keep him, or dump him and start with someone new. The choice is yours! This is far better than reality. He can never cheat, or leave the toilet lid up. He is all yours, and you will never be forever alone, so long as he’s around. It's all about fun, flirting and romance - so just how good of a girlfriend are you? Do you have what it takes to be a good girlfriend and keep a man? 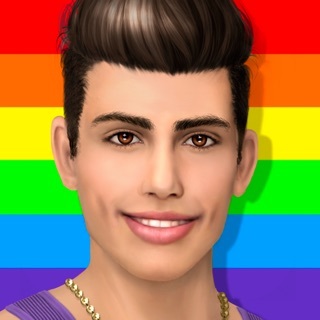 Download My Virtual Boyfriend Now! - Hundreds of cute boys to choose from. - All kinds of crazy, fun outfits you can put on him. - Hi res 3D graphics - and universals so it works on all devices! - He will NEVER cheat on you or Leave the toilet lid up. * added a new special outfit- Construction worker! I’ve been playing this game for years. Still fun and interesting. I like making them mad to the point of breaking.